Do YOU Qualify for a Free Storage Heater Grant? You may qualify if you live in your own home or rent it from a private landlord AND receive certain State Benefits. Complete the STORAGE HEATER GRANTS APPLICATION form today, to see if YOU qualify. ECO Scheme rules changes from 1st October 2018 have not been approved by Parliament yet. This means that some householders may not qualify for a grant. Please tick the relevant boxes below to indicate which of these you receive. You must receive at least one to qualify for a storage heater grant. If your home has cavity walls but no cavity wall insulation you may qualify for Free Cavity Wall Insulation. If you have less than 100 mm of insulation in your loft you may qualify for Free Loft Insulation. Storage Heater Grants are available to house owners and private tenants who receive certain State Benefits or Tax Credits and who have faulty, old or inefficient electric night storage heaters installed in their homes. Home Owners and Private Tenants are invited to apply for Storage Heater Grants Today, whilst ECO Funding is Still Available. Storage Heater Grants are awarded to householders who receive means-tested State Benefits to help them replace old, inefficient and faulty electric storage heaters. This is a replacement scheme only and the money comes from an annual levy placed on every UK householder’s electricity bill. If your storage heater grant is sufficient to cover the full cost of your storage heater installation you will receive FREE STORAGE HEATERS, if not you (or your landlord) may be asked to contribute to the cost. Either way, householders NEVER have to pay back their storage heater grants. Once you have completed the Storage Heater Grants Application Form we will call you back to discuss your application. We should be able to immediately tell you whether you qualify for a storage heater grant or not. If you qualify, you will be referred to a local ECO Scheme approved storage heater installation company. They will arrange a free survey of your heating system and officially apply for storage heater grants on your behalf. Once your application for ECO funding to replace your storage heaters has been approved, a date will be arranged for the installation. It really is that simple. We work closely with a national network of ECO Approved storage heater installation companies who have been awarded Affordable Warmth Scheme Storage Heater Grants funding. Once we have confirmed that you satisfy the Affordable Warmth Scheme Storage Heater Grants qualifying criteria we will refer your enquiry to an ECO Approved installer who will process your application. What is the STORAGE HEATER GRANTS Scheme? In an effort to remedy both of these problems the Government launched the ECO Affordable Warmth Scheme in January 2013. A new ECO scheme started on 1st April 2017 which offers storage heater grants to low income households who receive means-tested State Benefits. Storage Heater Grants provide funding for qualifying householders to replace old, faulty and inefficient electric storage heaters with new modern energy efficient storage heaters. * Maximum household income thresholds apply to these State Benefits. 3. At least one of your existing electric storage heaters is faulty. The Government’s Affordable Warmth Scheme will offer storage heater grants to all householders who satisfy the above criteria. If, instead of electric storage heaters, you have a central heating boiler installed and it is faulty, you can apply for a Boiler Grant HERE. How do I Apply for a Storage Heater Grant? Applying for storage heater grants is simple but first we need some information about your home, your state benefits and your storage heaters, so please complete the Storage Heater Grants Application Form above today. We will call you straight back to discuss your application and to arrange a survey of your heating system. Once your application has been verified, a local ECO Approved specialist storage heater installation company will arrange to install your new storage heaters and take your old ones away. 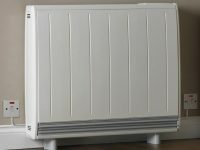 In some cases, especially for smaller homes and flats with quite a few faulty storage heaters, your storage heater grant may not cover the full cost of installation and you may be asked for a contribution. We will not know that until after the free survey. If you decide that the contribution is too high, you can withdraw your application without it costing you anything. However, remember that your heating bills will be lower with new energy efficient storage heaters installed, so you will save money in future. Modern energy efficient storage heaters are up to 30% more efficient than old ones. The Affordable Warmth Scheme is a Government initiative aimed at helping householders who receive state benefits to reduce their heating bills. This is achieved by offering storage heater grants and boiler grants to replace old, inefficient and faulty heating systems. Replacing old, inefficient storage heaters and boilers with modern energy efficient heating systems will reduce energy use and cut energy bills. It will also reduce carbon emissions from your home and help towards reducing the effects of climate change. 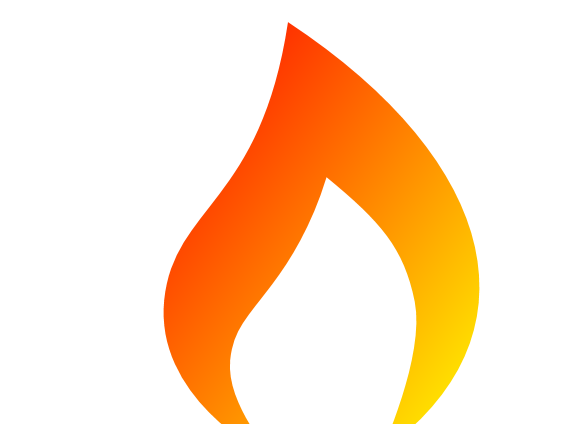 The Affordable Warmth Scheme was introduced in 2013 and was originally due to run until 31st March 2017. The ECO Scheme has been extended for a transitional period of 18 months from 1st April 2017 to provide time to consult on a new ECO Scheme intended to run for a further 4 years after that. 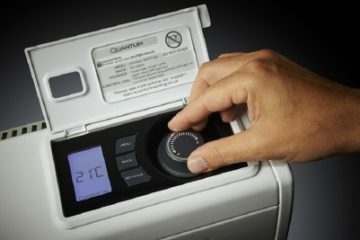 Landlords : Do your tenants qualify for Storage Heater Grants? If you are a landlord and you think any of your tenants may qualify for free storage heater grants with the Affordable Warmth Scheme, please enter your details and those of your tenant on the Landlord Storage Heater Grant Application form. Please ensure that you have your tenant’s permission to pass their contact details to us and provide a valid telephone number for your tenant as we will need to speak to them before arranging a survey. We are registered under Data Protection Acts to receive such information. Electric night storage heaters convert cheap off-peak electricity into heat, store it and release it to keep your home warm during the day time when electricity is in more demand and is therefore more expensive. Energy suppliers have electricity tariffs such as Economy 7 which use special meters to measure how much electricity is used during night time and day time hours, and charge different rates per kWh. If you are on the Economy 7 electricity tariff you will pay less for electricity used during the 7 hours from midnight to 7 am than you do for the rest of the day. Modern energy efficient storage heaters have convector heating systems built in and are much more controllable than the older types. They can also be up to 30% more energy efficient which means saving on your heating bills and storage heater grants will help you to replace your old, inefficient electric storage heaters with more efficient storage heaters. Are Electric Storage Heaters Free? Sometimes electric storage heaters are installed free of charge but it depends on your home and how many heaters you have. Storage Heater Grants are based on the potential reduction in carbon emissions achievable by installing more energy efficient storage heaters in your home. The greater the carbon saving the higher your storage heater grant will be. Storage Heater Grants tend to be higher for large, poorly insulated homes because these leak more heat than small, well insulated homes. Flats and mid-terrace properties particularly, tend to attract lower storage heater grants and householders in these properties will almost always be asked to make a contribution to the cost of installing new electric storage heaters. Can I get help with any contribution I may be asked to make? Yes. There are a number of ways in which our installers can help if you are asked to make a contribution to the cost of installing new electric storage heaters in your home. One way is by taking advantage of the new Green Deal which was reintroduced in 2017. The Green Deal works by allowing you to repay the amount of any contribution through your future electricity bills. However, the Green Deal Golden Rule means that any repayments will always be less than the saving you make by installing new energy efficient electric storage heaters in your home. What type of electric storage heaters will be installed? It is a condition of Storage Heater Grants that only modern, energy efficient, high heat retention electric storage heaters are installed to replace your old storage heaters. High heat retention storage heaters deliver heat for longer than old traditional storage heaters and tend to have digital controls to help deliver the heat you need only when you need it. They also have a built in convection heat facility to help boost the heat on very cold days. What work is involved in installing new electric storage heaters? Because Storage Heater Grants are only available to replace your old storage heaters (rather than to install them in a property which does not have storage heaters), there should be little disruption to your home. Your old electric storage heaters will probably already use an Economy 7 electricity supply but we may need to install an extra electricity supply so that your new electric storage heaters can operate the extra convection heating facility during the day. Will new electric storage heaters be cheaper to run than my old ones? Modern high heat retention electric storage heaters are around 30% more energy efficient than traditional storage heaters. This is because the operating systems are more efficient, they are much better insulated and are more controllable. I am a landlord, can I apply for a storage heater grant for my rental property? Yes but strictly speaking the tenant is the applicant, although the work cannot go ahead without your permission. Your rental property must have faulty electric storage heaters installed AND your tenant must receive one of the eligible State Benefits or Tax Credits to qualify for Storage Heater Grants. Storage Heater Grants are not repayable and you can, within reason, apply for as many of your rental properties as you wish. Each application for Storage Heater Grants will be taken on its own merit. Are other grants available under the Affordable Warmth Scheme? Storage Heater Grants are available NOW from the Affordable Warmth Scheme.